Fantastic! 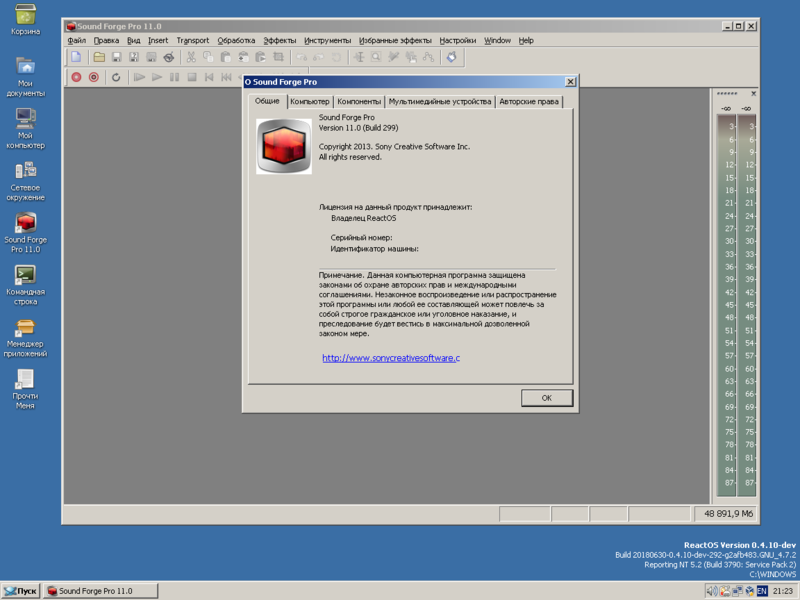 VB6... Now let's see it compile a hello world and run! dizt3mp3r wrote: Fantastic! VB6... Now let's see it compile a hello world and run! Yep, it can run VB5 apps, haven't tried VB6 yet though. Please try! Was the installation straightforward, no errors? Yes, No hassle at all. Save for some redraw artifacts on MSVB5CE. I'll try if VB6 can be made to work! OK, let's post to a separate thread from this point on, please! We can go into more depth, pictures &c.
Last edited by Chompjil on Thu Jun 07, 2018 12:24 am, edited 1 time in total. 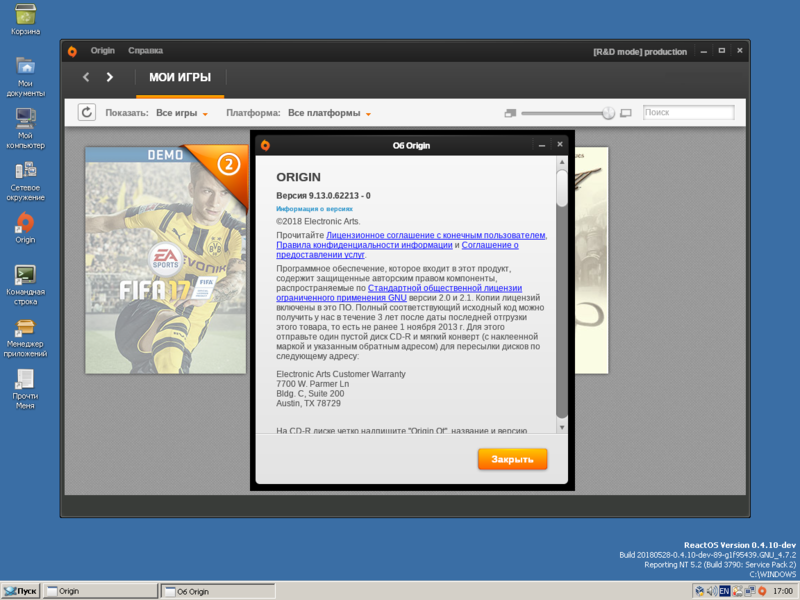 Origin 9.13 works in ReactOS! Installs only via Origin 10.4.17 web installer for Windows 7, and not with compatibility mode, by manual extracting the installer via any archiver and launching OriginThinSetupInternal.exe from an extraction directory. 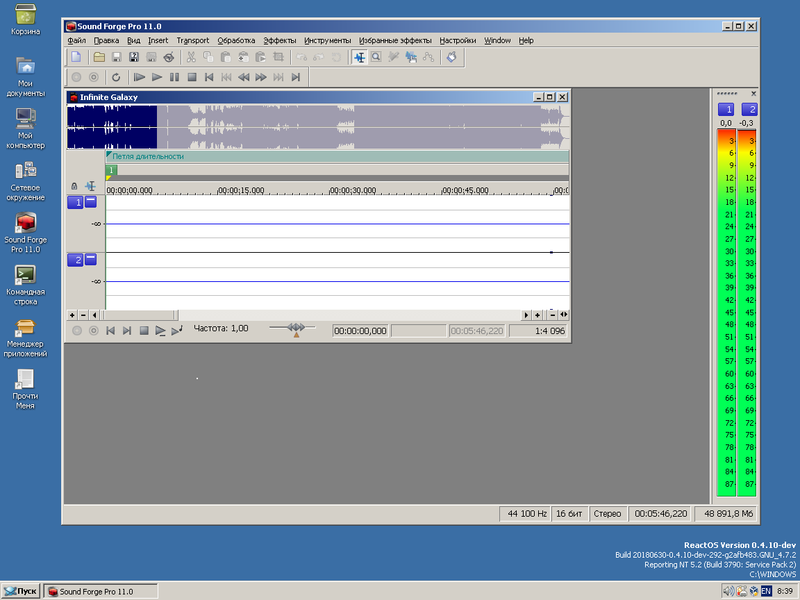 FL Studio 11 is mostly working on reactos-bootcd-0.4.10-dev-256-g893a3c9-x86-gcc-lin-dbg. The install was smooth (i thought flames would come out of my tower as soon as i try to install asio), and i could simply start it like i would do on Windows. 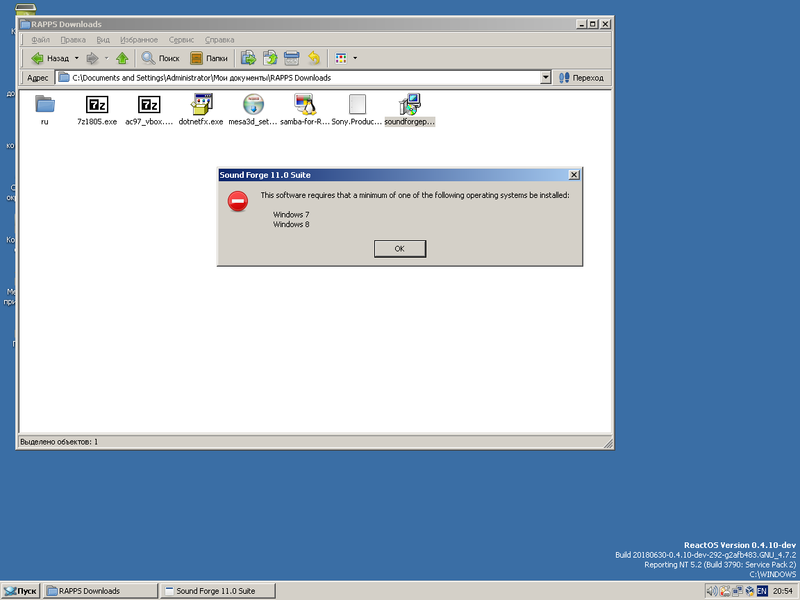 Even the green ASIO-icon appears in the systray. It cant load the sounds, i think the codecs are just missing. The performance blew me away. Seriously! Errors found can be safely donated to greenpeace. If u should find money, better donate it to ReactOS. 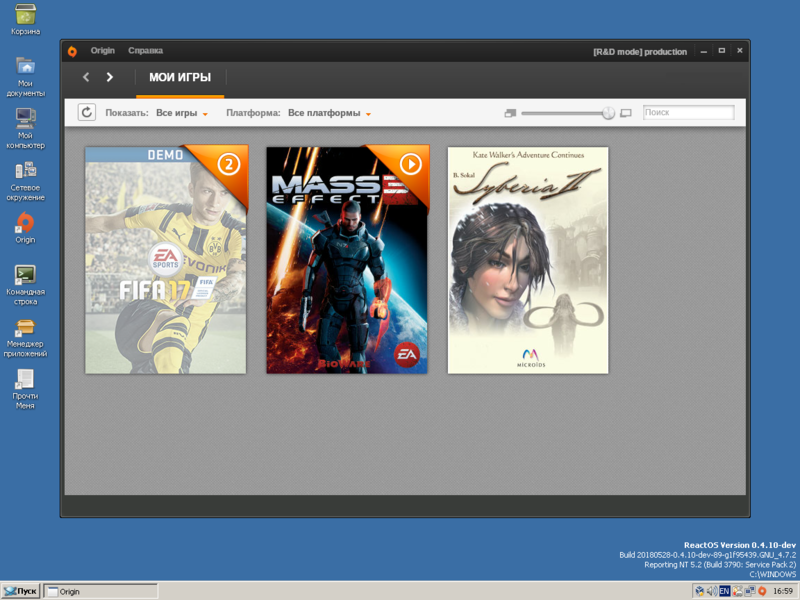 I don't know if somebody has posted it here before, but here you go, my video from 31st December 2017, where I got Star Wars Battlefront II (the old one from around 2005) to work in ReactOS, on a VM. I've also tried the Halo: Zero Fangame, it installs properly and runs but it's stuck on the menu where it seems awefully slow and while I can move the mouse at a normal speed I can't click any items from the main menu so the game is just stuck there. 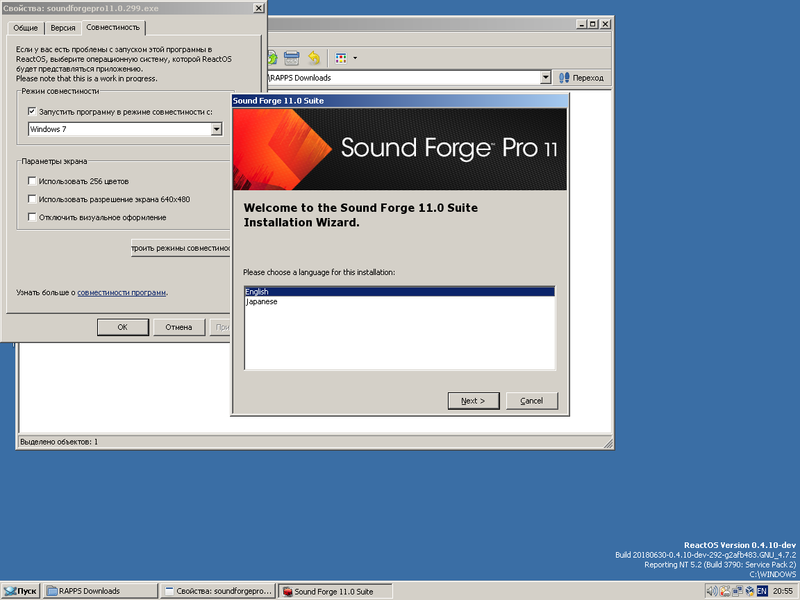 Sound Forge Pro 11.0 build 299 installs in Windows 7 compatibility mode and works in ReactOS! It needs Net Framework 2.0 for work. During using a program, sound in the system may disappear. UPD: program can't open only wave32 audio files, after trying to do it, sound disappears and appears an error that the audio device is not working. 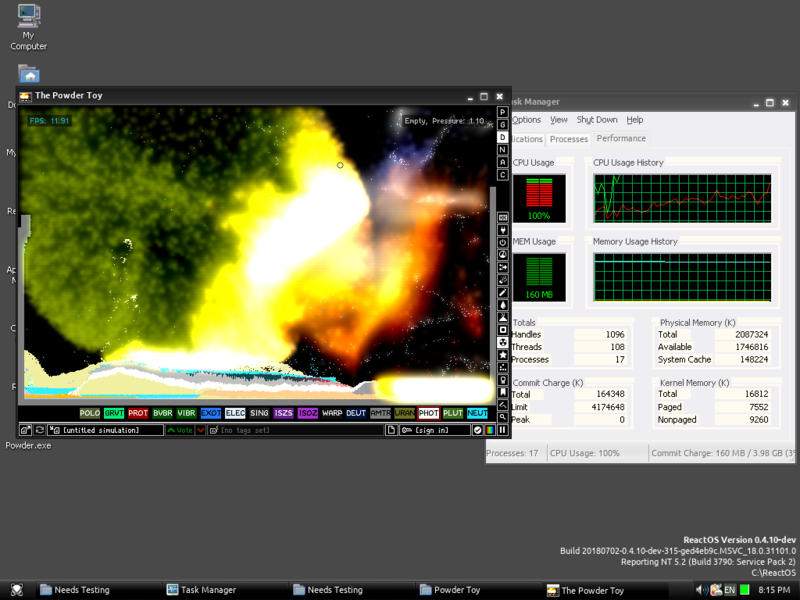 Wave16 and mp3 opens and plays successfully, without any errors.